Making a home safe for a senior loved one does not have to be a massive or costly project. There are small changes you can make each day that, over time, will dramatically reduce the risk of falls. For many, it may be difficult to know what changes to make, especially if we have lived in the same home for decades. 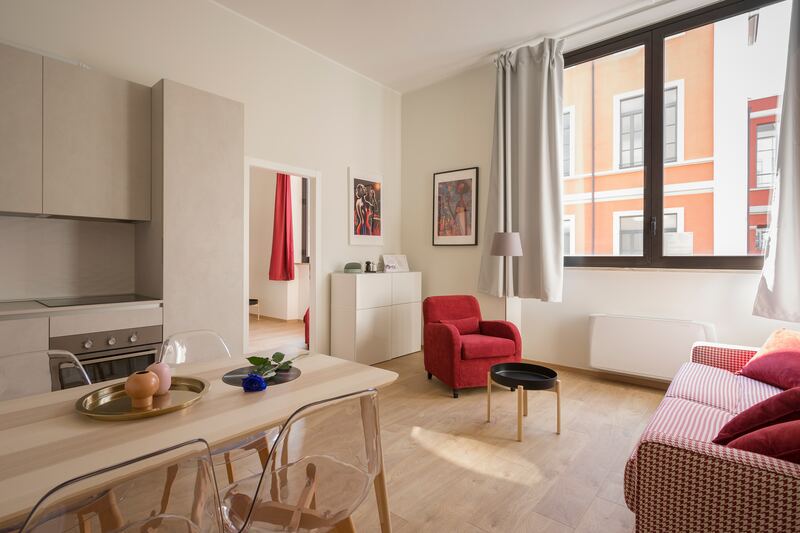 Things like furniture placement, a lack of adequate lighting, and clutter on the floor are just a few of the commonly overlooked risks that can cause you to lose your footing. These factors should not be taken lightly. According to the National Council on Aging, falls are the most common cause of fatal injury and the leading source of trauma-related hospital admissions among the elderly. The good news is that most of these falls are preventable. The start of any good fall prevention strategy begins in the home. It’s where seniors most frequently suffer a fall injury. As you get older it’s important to assess your residence for senior safety. You will want to go room to room, scanning the ceiling to the floor for any potential hazards. However, with dozens of hidden dangers, it’s not easy to identify them all. That’s why we’ve written this guide with 100 simple and easy things that you can do to organize your home and make it safe for seniors. The more organized you are, the safer your home will be. However, organization and storage strategies vary in different parts of the home. What you need in your bathroom is going to be very different than in the kitchen. Here, we go room by room providing simple organizational strategies to help prevent falls. Store items on the lower shelves where they are easier to reach. Use open shelves and cabinet without doors, if it’s easy to remove the doors. Replace the cabinet knobs with lever style handles to make them easier to open. Use a lazy-susan cabinet to maximize your storage space. Use plastic or wooden dishware instead of glass. This will prevent your dishware from breaking if it falls on the floor. Use a loud cooking timer that is easy to hear. This will help you keep track of anything you are cooking. Use a water-absorbent kitchen mat near the sink. This will prevent any slips and falls after you use the sink. Throw away old or unused items like herbs, spices, and other dry food items to make more room. Throw out unused kitchen equipment like any large platters or plates, especially if you haven’t used them in a year. Clear out the refrigerator of uneaten items. Foods like jams, pickles, and condiments can sometimes last years. They often take up much-needed space. Consider throwing some out. Clear out the freezer of uneaten foods. It’s easy to leave items in the freezer for a long time, but they take up much-needed space. Store frequently used items in easy-to-access drawers. Any utensils or cooking equipment that you use frequently should be kept at waist height. Also, try to keep them near where they are used. For example, you want to keep the pots and wooden spoons near the stove. Put heavy items in easy-to-reach places. Never keep anything heavy stored up high where it can be difficult to take out or put away. Keep your countertop clean and clear. Try not to use this space to store items that could fall off the counter. Keep cords safely tucked away. If you have appliances like a coffee pot or a toaster, make sure the cords are neatly tucked behind the appliance and not near any heat or water sources. Put a lamp near your bed. Ensure that it is easy to activate the light. Touch lamps, clappers, or another remote system is ideal. You want to make it as easy as possible for you to see at night. That way you won’t step on the cat or stub your toe on the way to the bathroom. Clear a path to the door. Don’t place any furniture between you and the door. You want to make sure you have an unobstructed path when you need to exit the room. Sleep near the bathroom. If you have a large bed, sleep on the side closest to the bathroom. Adjust your bed height if it is easy to do so. You want to make sure your legs are parallel to the floor when you sit on it. This will make it easier to get in and out of bed. Replace your doorknob. If your door has a round door knob you may want to replace it with a lever-style knob. This will make it easier and quicker for you to move around your home, especially if you feel rushed to use the bathroom. Organize the closet by tossing out any clothes or shoes you haven’t worn in the last year. This will make it much quicker and easier for you to find what you need. You may also want to look into purchasing a closet system that will help keep you organized. Use nails to hang items in your closet, like a sock aid, shoe horn, or dressing stick. Clean out items under the bed and don’t use that space for storage. It will be difficult for you to pull items in and out. Clear out your nightstand. It’s important that you never have too many items on your nightstand that could fall over. You want enough room to place a glass of water and book. Keep a phone by your bed. It’s a good idea to have a phone near your bed, preferably on your nightstand. Use a wireless charging pad or a secure charging dock if you use a cell phone. You will want to check to see if the wireless charging pad or charging dock is compatible with your cell phone model. But if it is, this will make it easier to keep the phone charged. Use a water absorbent bath mat that stays in place. 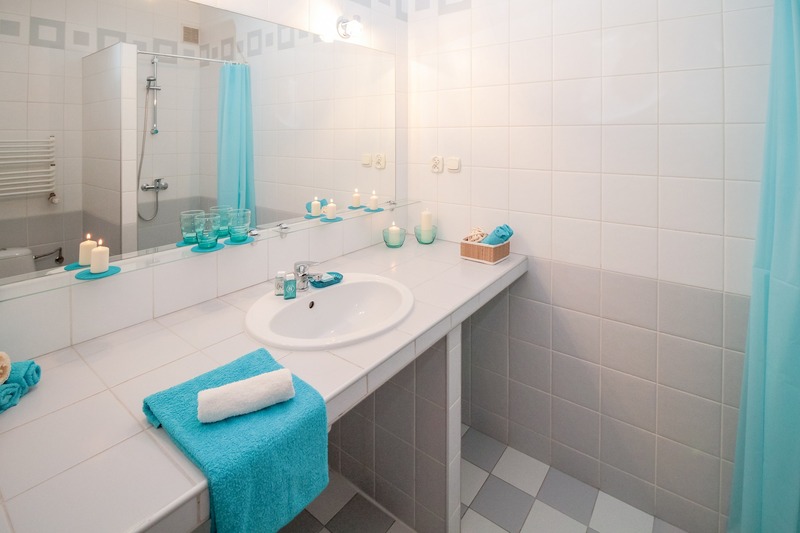 Most mats that are designed for the bathroom have a rubber underside so they won’t slip out from under you. Use a non-slip bathtub mat for inside the tub to prevent you from slipping while you shower. You can also have a professional apply a non-slip coating to your bathtub. Install grab bars and safety rails inside the shower to prevent falls. Use a secure shower caddy to hold your soap and shampoo in place. Throw away your shampoo bottles. A lot of people find it difficult to throw out bottles with a small amount of shampoo or conditioner in them. These bottles can take up precious shower space. Consider throwing them out or be better about using the whole bottle before opening a new one. Use a pill box to organize your medication. Pill boxes will make it easy for you to remember to take your medicine. Throw out any empty pill bottles that may take up space, but be sure to keep the dosage instructions in case you need to reference them. Make sure you properly discard any unused medication. Your pharmacy should be able to assist with that. Keep towels near your shower so that they are easy to grab. Make sure you don’t use the towel rack for support. If you find yourself reaching for it, consider installing a grab bar. Properly store electrical appliances like a curling iron or hair straightener. Keep them in a place where water won’t get on them. It’s safer to not have these in your bathroom at all. Make sure you have bathroom appliances with an automatic shut-off timer. Anchor heavy furniture like a dresser or a bookshelf to the wall. This will prevent it from falling. Reorganize furniture. Do you often have to walk around a furniture to get through a room? It’s important to have a clear unobstructed path when moving around your home. Push the furniture against the wall or reorganize it so that it is not in the way. Donate furniture if organizing and storage isn’t an option, you can always donate your furniture. Throw out furniture. It may be easier and safer to throw furniture away. Especially if you have an item that is old and worn. Don’t store belongings too high on a bookshelf or a tall dresser. Anything relatively heavy should be stored between the height of your waist and chest. Clear the hallway. The hallway should never be used for storage. Keep clutter and any other belongings off the floor. Any small furniture items like a cabinet should be removed. You want an easy and unobstructed path. Keep stairs clear of debris. Don’t store anything here, whether it’s books, trinkets, or a pet toy. Keep the stairs clear and clean at all times. 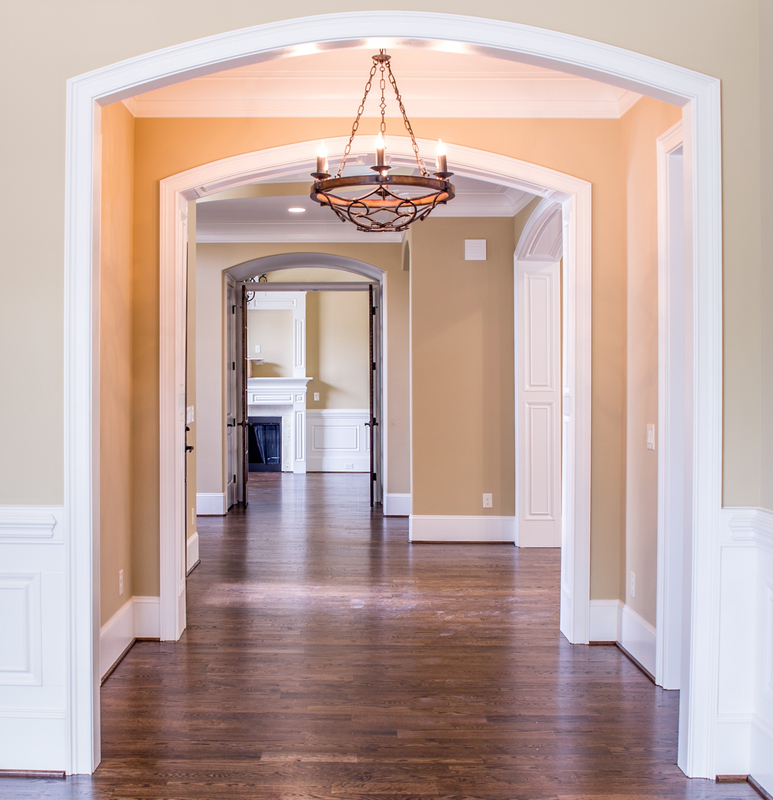 Remove large hanging items like decorations, large picture frames, or other belongings that could make your path through the hallway more narrow. Also, make sure to not lean against any hanging items for support. 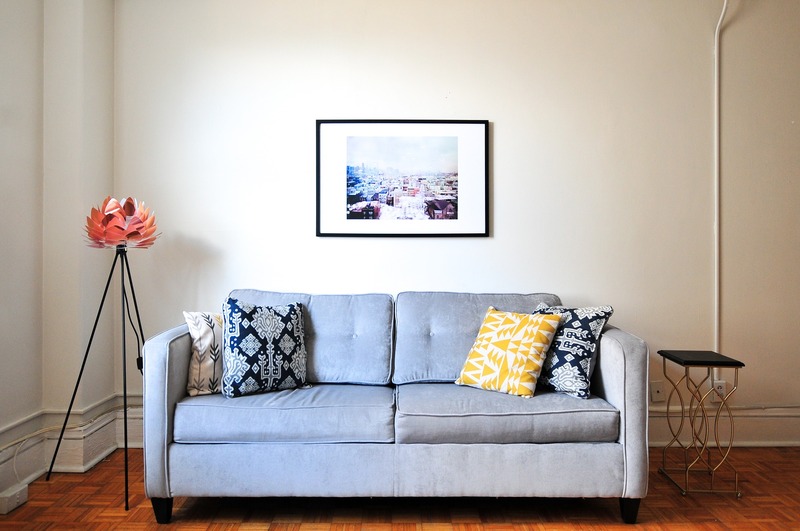 Crooked floors, bad lighting, and clutter are a disaster waiting to happen. These fall hazards can be found in any room of your home and should be addressed right away. If you follow these simple actions you can greatly improve the safety in your home. Remove area rugs.When rugs are not secured to the floor they can be a major safety hazard. A loose area rug is susceptible to slipping out from underneath you. It can also move and bunch up, causing you to trip when you walk across it. It’s best to discard rugs that you can’t securely fasten to the floor. Secure carpeting. If you have any carpet that is frayed or has rolled up edges, find a way to secure them. You can use nails or double-sided tape. Your carpet should be flat, secure, and undamaged. Secure cords. Appliances and other devices that need to be plugged in have cords that can cause you to trip and fall. Ensure that cords to permanently plugged in devices like a television or a lamp are secured along the edge of the wall. If you have to step over a cord, it’s a safety hazard. You will also want to avoid running a cord beneath a rug. Fix uneven flooring. Old floorboards, broken tiles, and crooked stairs are fall hazards that should be addressed immediately. They may have been a known issue for a while that you have been putting off, but as time goes on the issue will get worse. Use non-slip floor pads. Ensure that you have non-slip floor pads inside your home where you enter in from the outside. These pads can help you remain balanced when you walk into your home on a rainy day. It can be especially useful where your floor is tile or linoleum. Replace light bulbs that aren’t working. Ensure that there are no empty sockets in the house. Test your light switches. You want to make sure that your switches are working. If lights don’t go on when you flip a switch you may have to reset the circuit breaker or replace the light bulbs. Use bulbs with high lumens. A well-illuminated room will help you see potential fall hazards. High lumens light bulbs emit more light, enabling you to see throughout your home. Use LED or incandescent lighting over fluorescent lighting. LED and incandescent bulbs don’t take time to warm up and illuminate a room like a fluorescent bulb does. Use night-lights throughout the house so you can see when it’s dark. It’s ideal to have them in your bedroom, bathroom and the hallway in between. Use rocker light switches. They are wide and easier to activate that traditional light switches. Use illuminated light switches. You can install illuminated rocker light switches that are not only easy to turn on or off, but they are easier to see. 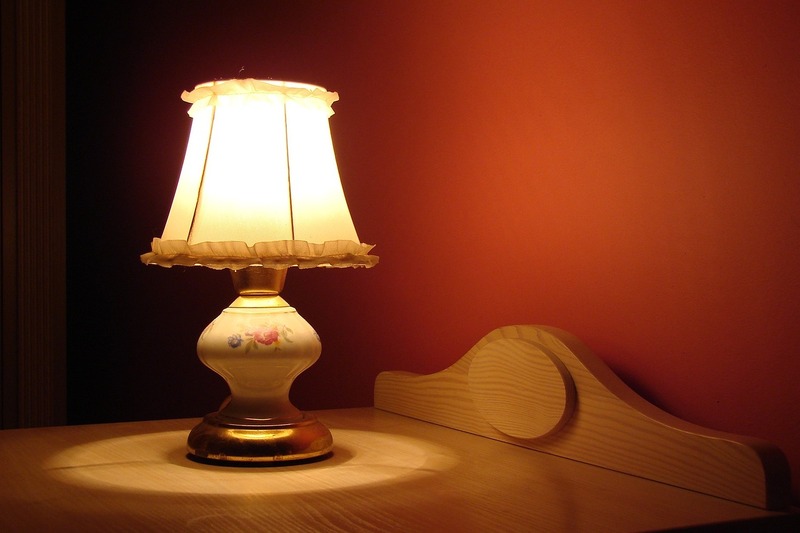 Place a lamp near your bed so that you can illuminate your bedroom before you get out of bed. Use a touch lamp near your bed. These lamps are activated simply by touching them. These are much easier to use than traditional lamp switches. Use remote-controlled lighting. It is much safer for you to activate the light in your home from the safety of your couch or bed. Use timed lighting to turn your lights on in the morning and off at night. You can set it to activate at the same time every day. Open shades and curtains to let in the daytime light. You can use remote controlled curtains to open them up. Use light colored curtains and shades that block less sunlight from coming into your home. Keep flashlights handy in case of a power outage. Store them in various places in your home that are easy to reach. Use wireless motion-sensor lights to light up areas outside of your home, like the driveway and walkway. Ask for help when changing hard to reach light bulbs. Don’t hesitate to get assistance when it comes to improving your lighting. Downsize your clothing and shoes at least once a year. If you haven’t worn it in over a year or it no longer fits, you can get rid of the unused items to make more room. Document items you cherish. If you need to get rid of an item that you have difficulty parting with, you can take photos of the items and put them in a scrapbook for you to remember. Put items in storage. There might be some items that have a lot of meaning and value. Maybe you want to put it in safekeeping for your children or grandchildren. Consider putting these items in a safe storage location. Donate unused items. Your garage or storage shed can be full of unused items like sporting equipment, an old bicycle, a kayak and other miscellaneous gear. 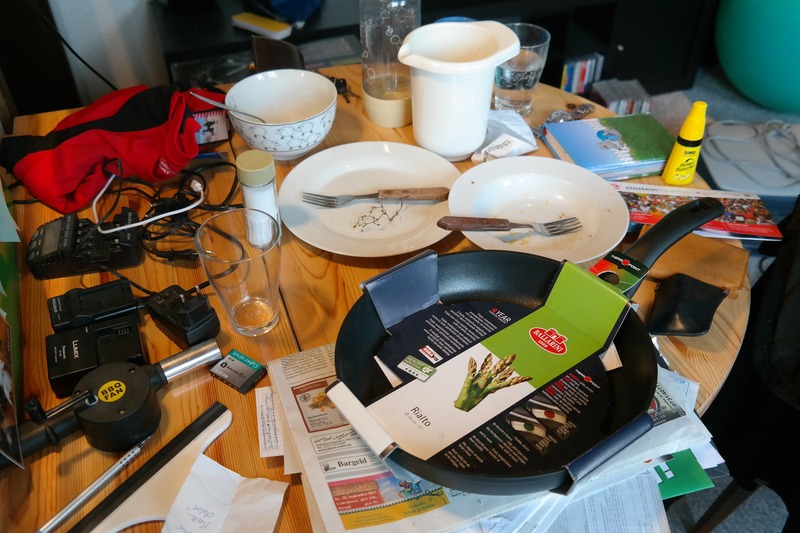 Clearing out these areas of your home can make it safer to walk around in and easier to find things. Clear counter space. 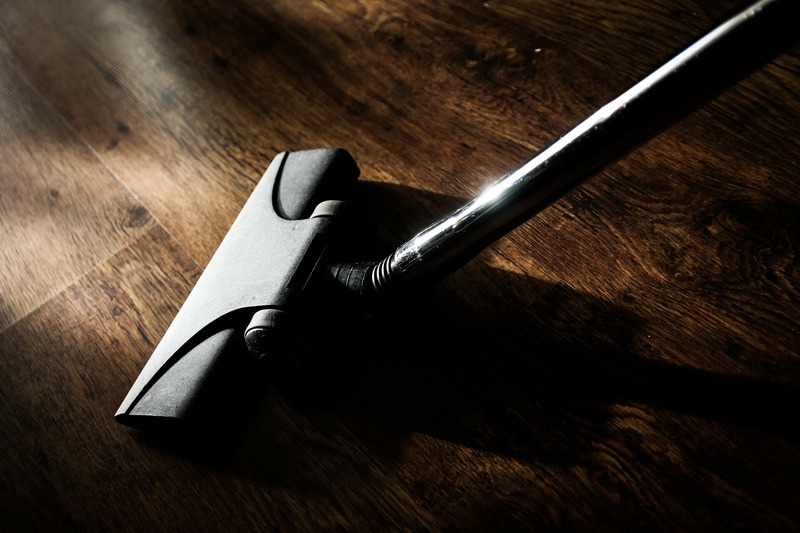 Remove small items that are seldom used from counters and windowsills. Try to minimize the number of ornaments and decorations throughout your home. Clear junk drawers. Many people have drawers or cabinets in the home where we store miscellaneous items like batteries, mail, chargers, etc… It’s a good item to clean out some of these drawers to increase your storage space for items that are more important. Get rid of duplicate items. Do you have more than one of the same item? Like two toasters, two coat racks or several fruit baskets? Consider getting rid of these duplicate items. Hire help to manage your yard: This will enable you to get rid of lawn care tools like a mower and hedge trimmer, which can take up a lot of space and can be difficult for seniors to use. Consider hiring someone who has their own equipment to maintain your yard. Books – Are you going to read them again? If not can you donate them? DVDs and movies – Do you have a pile of movies you haven’t watched in ages? Try donating them. Newspapers and magazines – Have you read them already? Are they taking up much-needed space in your home? Consider throwing them away. 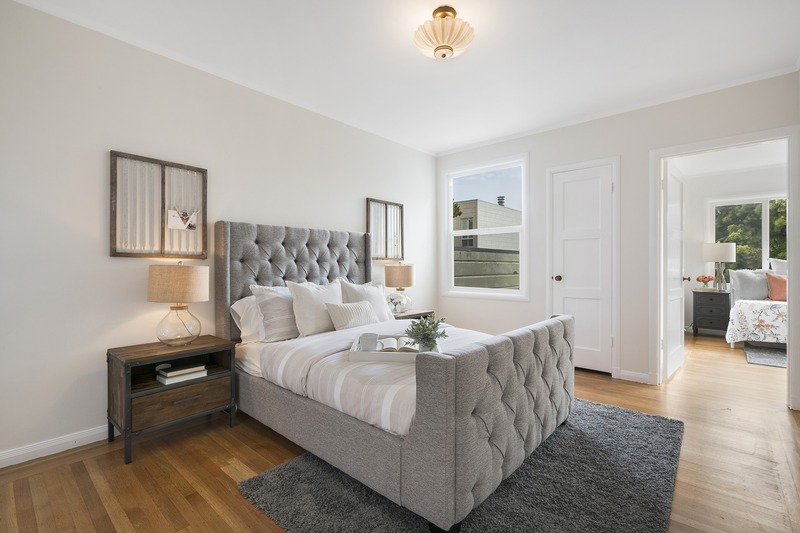 Furniture – Is there a couch or a nightstand that you never use? If it’s in good condition you might want to sell or donate it. Hire a professional organizer. A professional organizer can coach you through the organizational process. It’s their job to point out the non-essential items in your home that are taking up space. With age comes risks. As you already know, the older we get, the more likely we are to fall and the more dangerous a fall becomes. Another vital step you can take in your fall prevention strategy is to understand the risk factors for falling. There are a host of physical changes associated with aging. Some, like wrinkles and muscle loss, are natural effects of growing older. Other changes are the health problems that arise with age. These can greatly increase your risk of falling, like osteoporosis, arthritis, a prior injury, or a recent surgery. These factors can cause you pain and weakness. Other conditions like a stroke, Parkinson’s, Alzheimer’s, or dementia can alter cognitive function and cause you to lose coordination. Seniors are also more susceptible to memory loss, which is associated with confusion and problem-solving difficulty. This can affect your ability to judge risky situations, take precautions, and recognize hazards. Circulatory diseases like hypotension, heart disease, and cardiac arrhythmia can create imbalances in blood pressurecausing dizziness. Be aware that some medications can be a risk factor too. Prescribed opioids, sleeping pills, sedatives, antidepressants, or antipsychotics can make you very tired or fatigued. Also be mindful of conditions that affect your perception and spatial awareness like a loss of hearing or sight.­­ It’s best to check with your doctor to address these risks. What are your behavioral risk factors? Behavioral risk factors are personal characteristics or habits that can contribute to a fall. These factors can be difficult to identify in oneself. 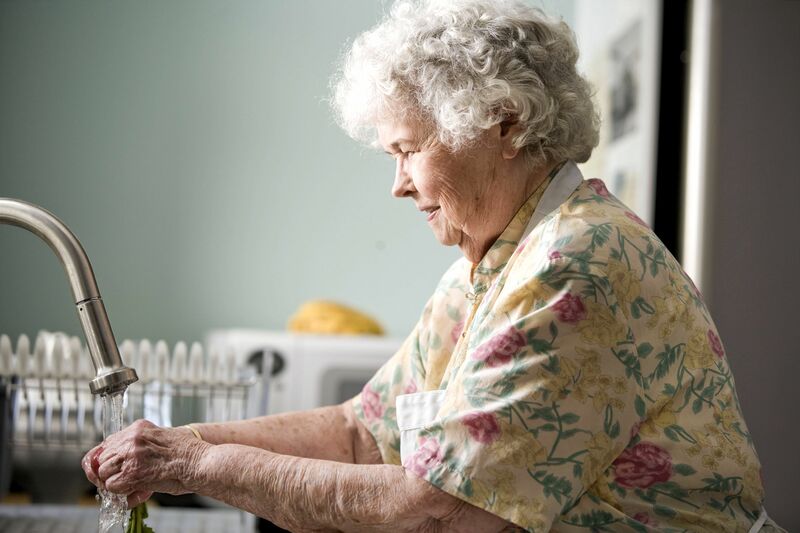 For example, some seniors are hesitant to ask for help with challenging activities like using a ladder, lifting heavy objects, or shoveling snow. Others may be reluctant to use mobility devices like a cane or walker. Sometimes a health condition, medication, or a prior fall can make you too tired or fearful to stay mobile. This leads to inactivity which, over time, will cause you to lose strength and bone density. Seniors do tend to lose height due to bone loss with age. This can make your clothes loose or ill-fitting. Your pants may drag on the floor and added fabric on your sweater might snag on something in your home. Also, take note of your footwear. Shoes that don’t fit properly or ones with slippery soles are not safe options. Drinking too muchalcohol is another factor that can cause you to lose balance. Alcohol could also affect your sleep, memory, and blood pressure, all contributing factors that might make you fall. Improve your strength & balance. Look for low-impact exercises that are designed to increase your strength, maintain muscle and improve balance. Staying in shape even has the added benefit of lowering blood pressure and improving mental health. Before starting any new exercise program, consult your doctor to ensure that your workout routine is safe. But if you get a green light, here are some ideal workouts for seniors. Swimming and water aerobics workouts are great for the body. They are both easy on the joints and minimize the risk of injury. Many gyms with a pool have classes that specialize in water aerobics classes for seniors. Participate Tai Chi, yoga and Pilates. These are great fitness workouts for seniors that both improve balance, flexibility, strength and core stability, all benefits that can reduce your risk of falling. Bodyweight and resistance band training are two workouts that are excellent for strengthening your muscles without the risk of dropping heavy weights. Try walking. This is a workout that is not only beneficial to your health, but can be done without guidance and it’s free. It’s also a very safe activity for seniors. Check your medications. There are many drugs that can actually increase your risk of falling. You want to avoid medications that have drastic side effects, negative interactions, and that make you fatigued. Know the side effects: If you find that a new prescription is causing you to have adverse side effects that increase your risk of falling, let your doctor know, there may be alternative medications that are safer. Be wary of interactions: If you are taking multiple medications, you may want to check with your doctor or pharmacist to ensure that you are taking them properly and that they won’t interact negatively. Maintain your vision and hearing. Your sight and hearing are extremely important to ensuring you stay on your feet. Get regular check-ups: Make sure you are seeing your eye doctor regularly. Update your glasses: Update to new prescription glasses if needed and make sure to purchase a few extra pairs in case you lose them. Use hearing aids: If you are having trouble hearing, ask your doctor about hearing aids. These can greatly improve your safety and quality of life. Take supplements and vitamins. A healthy combination of supplements and vitamins can help keep your body in shape. Supplements like glucosamine and chondroitin can improve joint health and help you stay flexible. Vitamin D and calcium are recommended to improve bone health and omega-3 fatty acids have numerous heart and cardiovascular benefits. Safe-landing classes are designed to teach seniors how to land safely in case of a fall. These strategies have been proven to reduce injuries. After-a-fall programs are designed to teach seniors how to safely get up after they have fallen down. Vehicle safety: an occupational therapist can teach and recommend ways for seniors to safely get in and out of their specific vehicle. Bed safety: an occupational therapist can teach and recommend ways for seniors to safely get in and out of their bed. They can even prescribe bed rails or suggest modifications to your bed. Home assessment: an occupational therapist can assess your home and determine what you need to do to make it senior-safe. It’s best to find an occupational therapist that specializes in senior care. Medical mobility equipment can help you stand, walk, and move around your home. If you find yourself leaning on furniture or reaching for the wall when you walk around your home, it may be time to start using a mobility device. A cane or walking-stick is the most basic tool to help facilitate walking. A walker is great for seniors who need more support than a cane. Walkers can help you stay balanced and stable. Mobility scooters are an option if you need mobile assistance outside the home. These motorized devices are battery powered and can help you get around faster and safer. Rail bars can be installed along the sides of your bed to help you get in and out of bed quickly and safely. Grab bars can be installed in your bathroom for support in the shower and even next to the toilet to help you stand up. A step stool with a handlebar is a great tool if you need to grab difficult to reach objects. Ensure that the legs grip to the floor and that the steps are non-slip. Enlist help. Let others handle routine tasks or use their expertise to help you. Running errands: Whether it’s walking your dog or getting groceries, don’t hesitate to ask someone for help with errands. This is especially important during inclement weather or during the nighttime when it’s more difficult to see. Get pet training: If you have a pet it’s a good idea to send them to obedience school. Let the trainer know your needs. Make sure your pet is trained to not run underfoot. Use delivery services: Look into pharmacies that can deliver or mail your medication to your home. Many grocery store chain can deliver goods to your doorstep. Check with your local market to see if they offer this service. The less you are getting in and out of your vehicle to run errands the less likely you will fall in the process. Seniors who take fall prevention seriously can prolong their independence and quality of life for many years. Organizing your home is one of those necessary steps. Although it isn’t going to be an overnight fix, you can get started right away. Begin by cleaning clutter one drawer at a time. Try to make purging and downsizing an ongoing activity. 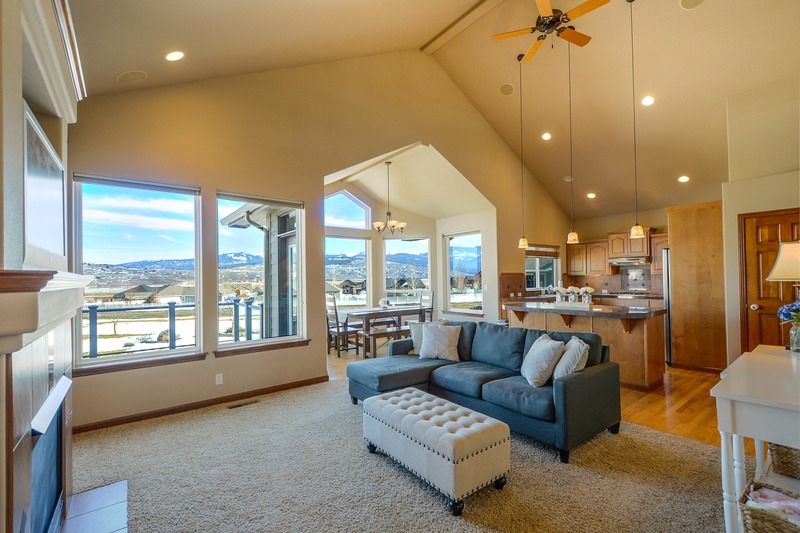 You’d be surprised at how much additional room you have and how neat your home can look. You should also consider incorporating other habits into your life like stretching and exercising for just a few minutes a day. Try to eat a well-balanced diet and make sure you’re taking your medications as prescribed. The principles of fall prevention should be a welcome addition to your existing lifestyle. If you’ve previously fallen, make sure you take the time to fully recover before you take on any major tasks. One of the biggest predictors of a future fall is a past fall. Lastly, don’t hesitate to ask for help. Downsizing can be a large project, depending on the size of your home. Find relatives that are happy and willing to help. You’ll find yourself relieved at the progress you’ve made. An organized lifestyle will greatly reduce your risk of falling and can provide you with independence and happiness for years to come.